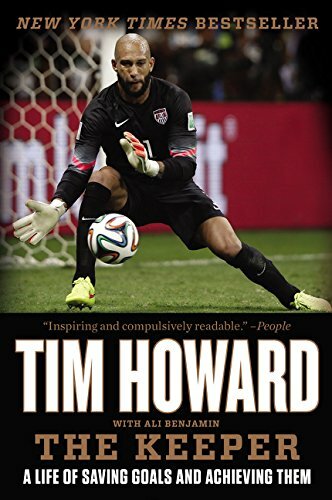 In this inspiring, down-to-earth memoir the revered goalkeeper and American icon idolized by millions worldwide for his dependability, daring, and humility recounts his rise to stardom at the 2014 World Cup, the psychological and professional challenges he has faced, and the enduring faith that has sustained him. In The Keeper, the man who electrified the world with his amazing performance in Brazil does something he would never do on a soccer field: he drops his guard. 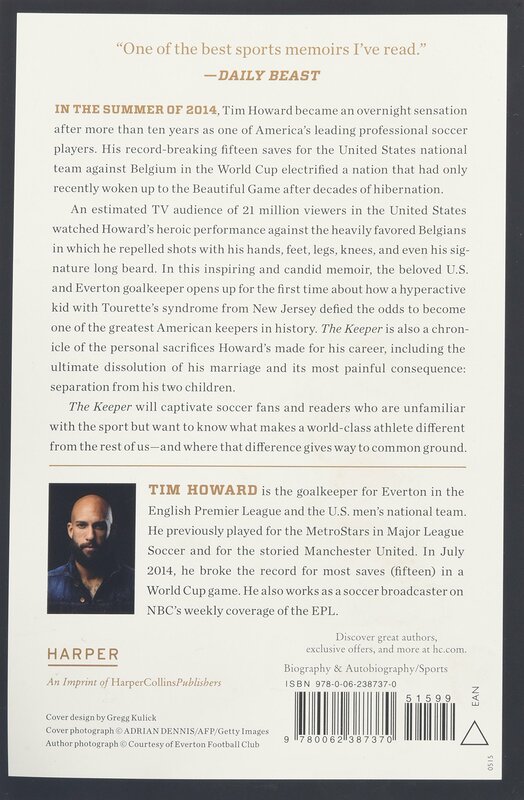 As fiercely protective about his privacy as he is guarding the goal on the field, Howard opens up for the first time about how a hyperactive kid from New Jersey with Tourette’s syndrome defied the odds to become one of the world’s premier goalkeepers. The Keeper recalls his childhood, being raised by a single mother who instilled in him a love of sports and a devout Christian faith that helped him cope when he was diagnosed with Tourette’s in the fifth grade. He looks back over his fifteen-year professional career—from becoming the youngest player to win MLS Goalkeeper of the Year to his storied move to the English Premier League with Manchester United and his current team, Liverpool’s Everton, to becoming an overnight star after his record-making performance with the United States Men’s National Team. He also talks about the things closest to his heart—the importance of family and the Christian beliefs that guide him. Told in his thoughtful and articulate voice, The Keeper is an illuminating look at a remarkable man who is an inspirational role model for all of us. 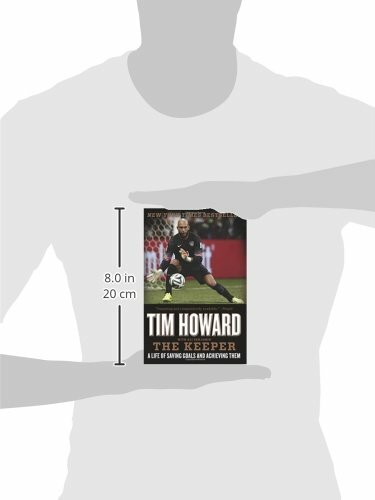 The Keeper is illustrated with two 8-page color photo inserts.